Client Services | Live Healthy S.C.
Billy Wiggins of the DHEC Client Services team will soon embark on a journey to grow as a nurse and leader. Billy, who is a Registered Nurse, is one of 20 people chosen for the prestigious the Amy V. Cockcroft Nursing Leadership Development Program from across the nation. The program provides nursing leaders with the skills needed to actively shape health care and the profession of nursing. “I’m very thankful for the opportunity and am certain I will acquire skills and knowledge I’ll use throughout the rest of my career,” Billy said. This progressive leadership program will advance Billy’s ability to lead and navigate while also educating him on how to work effectively with interdisciplinary teams. It’s no easy task to complete the program. The year-long program includes five intensive, three-day sessions spread out throughout the year. Each participant must also plan and complete an interdisciplinary project. The program will begin in March. Good luck to Billy, and many thanks to him for continuing to uphold DHEC’s core value of pursuing excellence. This entry was posted in Client Services, Employee Recognition and tagged Amy V. Cockroft Nursing Leadership Development Program, Billy Wiggins, DHEC, nurse, registered nurse, South Carolina, South Carolina Department of Health and Environmental Control on February 27, 2017 by SC DHEC. It’s that time of year when fresh fruits and vegetables are plentiful throughout the Palmetto State. Eating fruits and vegetables as part of a healthy diet can reduce your risk for diseases such as stroke, heart disease, diabetes and some cancers. Check out this map from the S.C. Department of Agriculture to find fresh S.C.-grown produce near you. 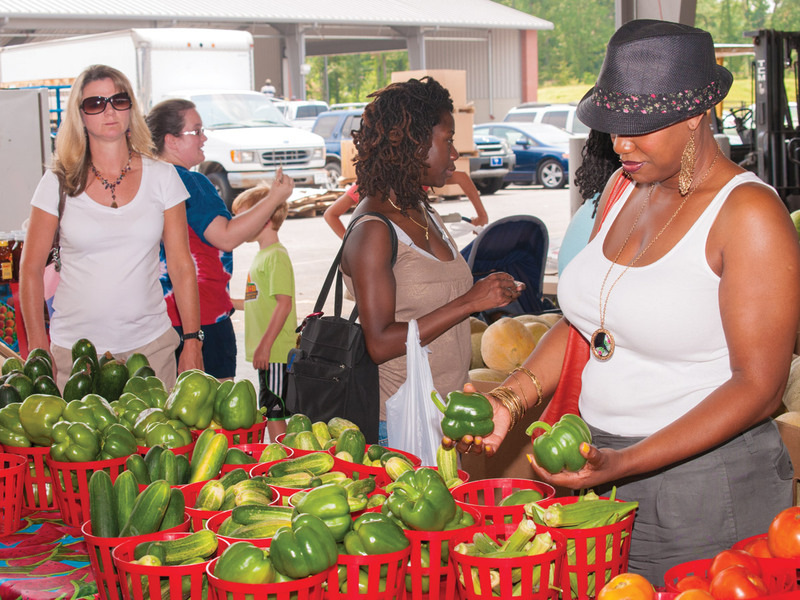 Starting this month, DHEC’s Women, Infants, and Children (WIC) nutrition program will provide checks that can be used to purchase fresh, S.C.-grown produce at local farmers markets. Find authorized markets accepting WIC checks near you with this map. If you’re looking for easy and creative ideas for preparing fruits and vegetables, look no further than your local farmers market. Nutrition education specialists and dietetic interns from DHEC’s Office of Professional and Community Nutrition are offering free cooking demonstrations throughout the state this summer. The next demonstration is scheduled for June 13 at the Kershaw County Farmers Market at 222 Broad St. in Camden. To see which fruits and vegetables are in season, find tips on choosing the right piece of produce and get recipes, check out this guide. This entry was posted in Client Services, Maternal & Child Health and tagged farmers market, fruits, vegetables, WIC on June 10, 2015 by SC DHEC. Medical Laboratory Professionals Week is celebrated the third week of April each year by laboratory professionals around the country. The primary focus is to bring attention to and highlight the importance of the work being done by laboratorians daily. This national celebration gives us the opportunity to highlight the successes of DHEC’s Bureau of Laboratories (BOL), which provides diagnostic and reference laboratory services to DHEC clinics, hospitals, universities, and private providers. The BOL consists of two diagnostic divisions: the Chemistry and Microbiology Divisions. 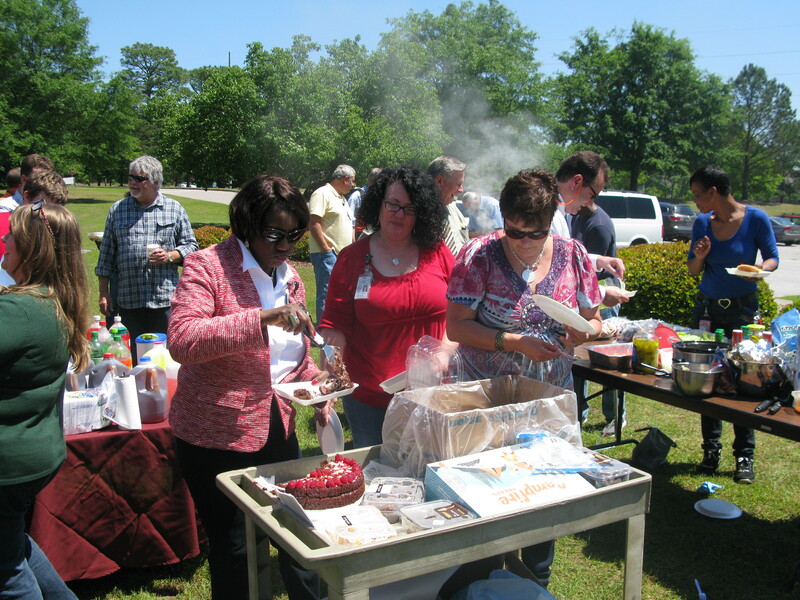 The Bureau of Laboratories recently hosted a cookout and celebration and in honor of the team’s hard work and many accomplishments. Thank you to our entire BOL team for your continued commitment to helping keep South Carolinians healthy and safe. This entry was posted in Client Services, Community Health, Disease Control, Maternal & Child Health and tagged celebration, DHEC Bureau of Laboratories, lab on May 8, 2015 by SC DHEC. It’s World Breastfeeding Week, which provides us with an opportunity to highlight the great work our Women, Infants and Children (WIC) program is doing to encourage more South Carolina women to breastfeed their babies. This entry was posted in Client Services, Community Health, Maternal & Child Health, Outreach and tagged breastfeeding, hospitals, infants, obesity, outreach, peer counseling on August 8, 2014 by SC DHEC.